This article was originally published 4/5/14 but was updated 4/8/14 with additional information. 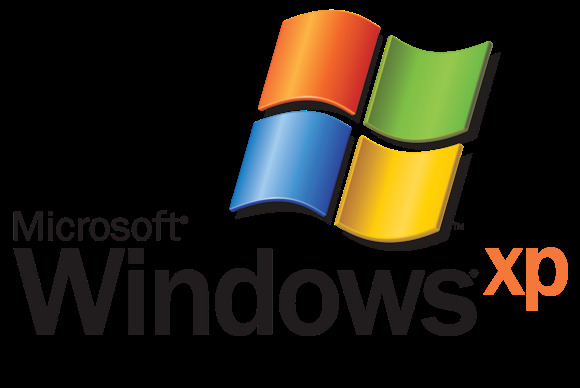 It's coming: XPocalypse—the end of Microsoft’s support of Windows XP on April 8. Anyone who still has a PC with Windows XP is either scrambling to figure out what to do with it—or in some state of blissful denial about it all. Or, they are lashing themselves to the mast of their old XP schooner, determined to ride out the storm. But what storm, really? Windows 8.1 Spring Update becomes available the same day, and it addresses the biggest complaints most people had with the radical reimagining of Microsoft's operating system. We recommend you upgrade. But whichever fate you choose, you’ll need some key information to survive the event unscathed. If you opt for the wisest path (upgrading), you still need to choose between buying an entirely new PC or just upgrading the OS on your current machine. Buying a new PC. This is by far the easiest route, because the OS will be preinstalled and the hardware will be up to current standards. Microsoft is even wooing you with offers of $100 discounts on new hardware. “Hassle-Free PC” columnist Ian Paul provides a quick rundown of the five things you should consider as you prepare to shop for a new Windows system. Jared Newman discusses the pros and cons of Windows 7 versus Windows 8. While it’ll be easiest to find a system with Windows 8.1, with a little extra legwork you can still find a Windows 7 PC. Stuck with Windows 8? "Answer Line" columnist Lincoln Spector offers some tips to make it look more like Windows 7. Marco Chiappetta offers a handy checklist for setting up your new PC just the way you like it. Move your data from your old PC to the new one using Alex Castle's handy tips. What about other operating systems? Tony Bradley introduces you to Mac OS X, Linux, and Chrome, all of which are viable alternatives to Windows. If you’re jumping to Windows 8.1, various utilities and tweaks can ease your transition to the radically different interface. Brad Chacos tells you how to sweep away the Metro-style interface for the good ol’ desktop. If nothing else, you can restore the Start menu with a third-party utility. This'll tide you over until Microsoft brings it back at some unannounced (but eagerly anticipated) point in the future. Keep your PC and just upgrade the OS. Some people can’t or won’t part with the PC they have. Depending on the age and configuration of your PC, however, your OS upgrade choices could be limited by insufficient CPU power, RAM, or storage capacity. If Tony Bradley can't convince you to jettison your old PC, systems that have been around as long as Windows XP might be better off moving to Linux. Ian Paul finds three user-friendly Linux versions worth trying. Who knew an operating system could inspire such loyalty? Some XP true believers plan to stay put, no matter what happens. They, too, have some decisions to make. You can take precautions to keep your XP system secure after Microsoft stops issuing security patches, but there are no guarantees. Security experts are warning of a hacker feeding frenzy after XP is cut loose. “Answer Line” columnist Lincoln Spector offers some additional tips for staying safe with XP. Before we leave you holdouts, it’s worth one more try: Upgrade from Windows XP. It’s not a ploy to get you to buy a new system. It’s a reasonable recommendation to move on to newer and better things. It doesn’t even have to be Windows 8—although the latest updates cure many ills. Windows 7 would be fine. We have a long history with Windows XP, too. We'll miss it. But sticking with an unsupported operating system is something only stalwart—or stubborn—souls should dare.